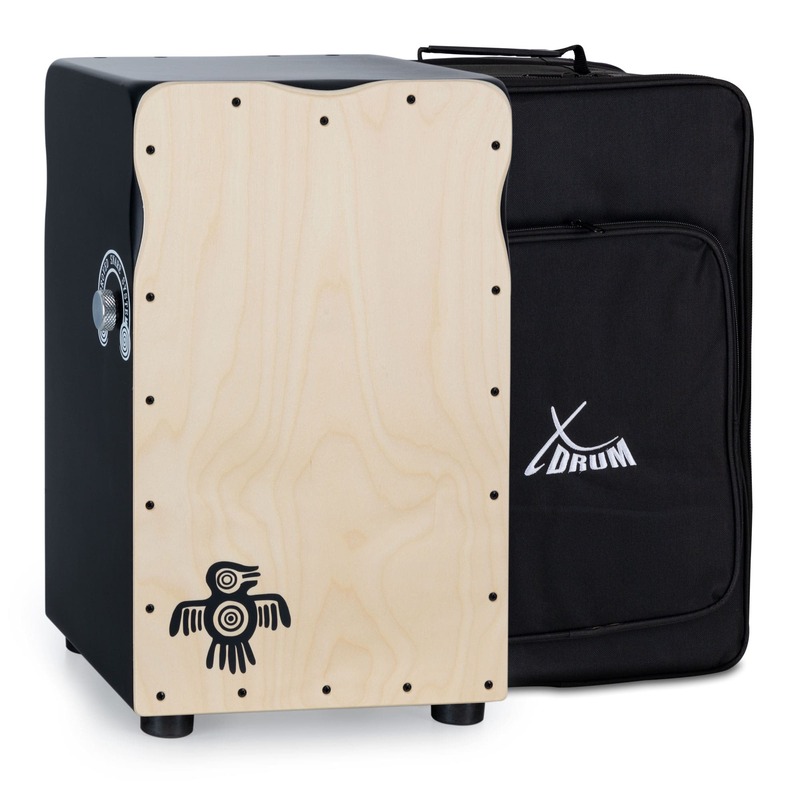 This Cajon with two strike plates has a 7-ply birch body with a thickness of 9 mm. 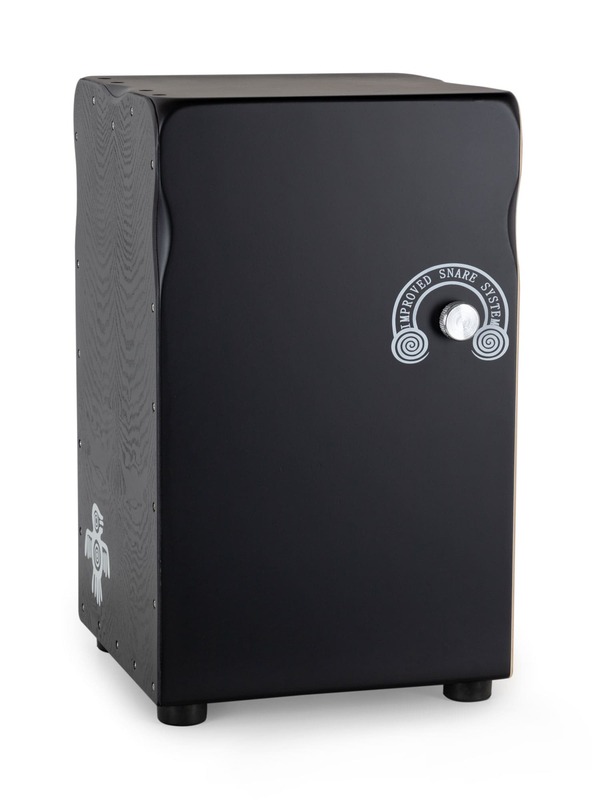 The ergonomic recesses on both striking sides make tones and slaps much easier to play. With a seating area of approx. 31 x 30 cm and a height of approx. 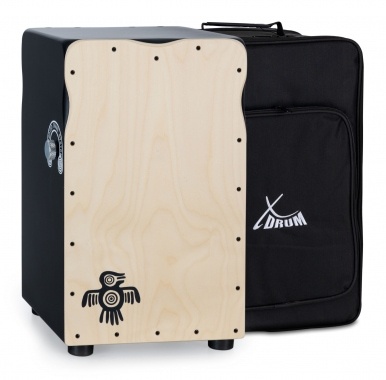 50 cm, the Cajon offers excellent seating and playing comfort. The bright striking plate made of 3-layer birch wood provides a powerful bass sound with a clearly recognizable snare. 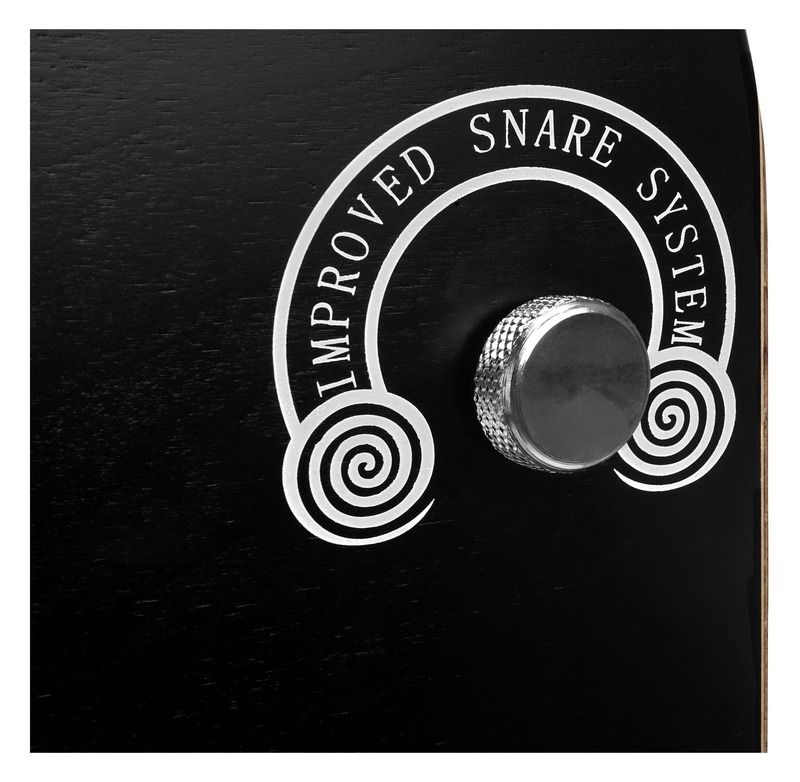 The snare effect made possible by two half, 20-spiral snare rugs, can easily folded away and thus turned off. Without a snare effect, it sounds almost like a Conga. 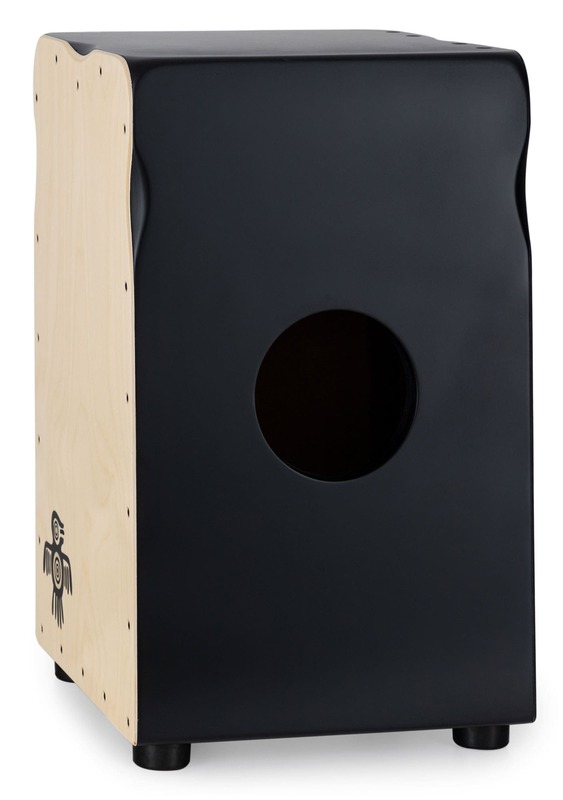 The black lacquered ash plate provides a slightly more subtle bass with a very sensitive snare response. 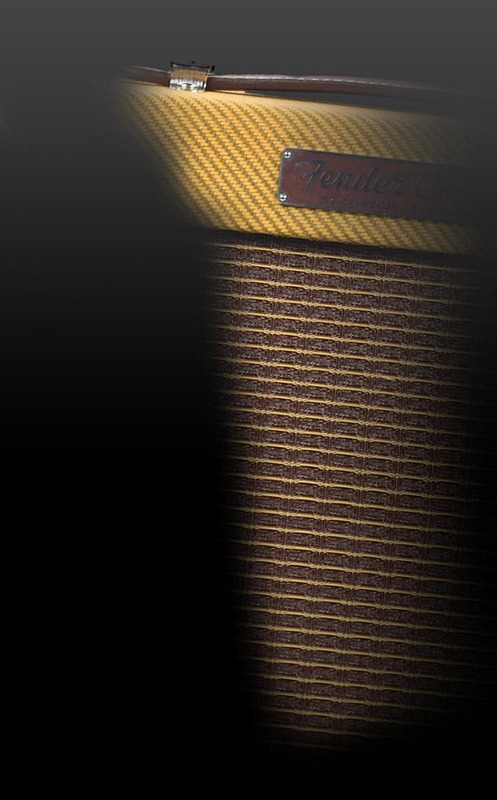 The intensity of the snare effect can be adjusted to match your personal taste by changing the tension of the strings with the included tuning key. Since the strike plate is completely screwed, the clap corners can be adjusted with a screwdriver for an incredibly nuanced sound. 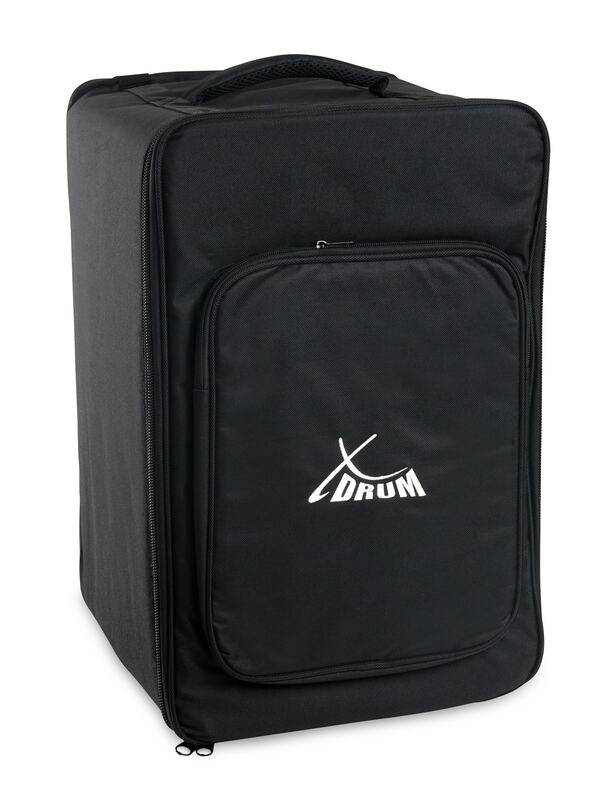 A durable nylon bag with 1-cm thick upholstery is included in delivery for optimal protection of your Cajon. A 37 x 19 cm outer pocket provides additional storage space. 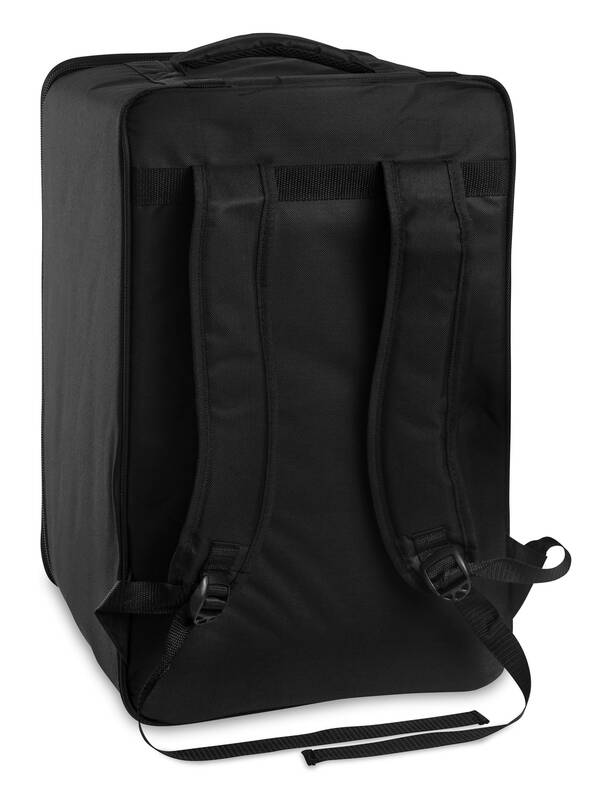 In addition to the classic carrying handle on the top, this Gigbag includes a shoulder strap allowing you to transport your Cajon on a bicycle, scooter, or on foot to your next jam session! Mit der Lieferung hat es nach Irrwegen doch noch rechtzeitig geklappt - Versanddienstleister in Zukunft vom Kunden wählbar machen, auch wenn es mehr kostet - der Ärger lohnt nicht.